If Ofcom is to gain the confidence of BAME people in broadcasting, it needs to climb down from its ivory tower and listen to what they have to say. Screenshot from Hancock video: Digital Minister Matt Hancock joins Lenny Henry and guests to discuss diversity in broadcasting.For broadcasting diversity in the UK, it has been a hot and topsy-turvy summer. The big issue has been Ofcom’s failure to introduce regulatory requirements and performance measures for off-screen employment diversity for the BBC and its suppliers. Ofcom’s meeting for diversity stakeholders on 13 July is the place to start. Who are the diversity stakeholders? The invitation, which still stands, fell on deaf ears. Little wonder that when Ofcom held its stakeholder meeting, it had no sense of the importance and urgency which BAME people working in television attach to effective regulation. Sharon White, like her predecessors, favours events with carefully filtered guests or steeper price barriers. Next week, the Ofcom CEO will be making her third annual visit to speak to the Royal Television Society, this time at the biennial Cambridge Convention - delegate fee £2,220. Ofcom has been an ivory tower regulator with no appetite for engaging with the BAME people, other than through the cold distance of opinion polls and surveys and highly selective closed meetings. How any member of the public gets to hear about Ofcom’s annual public meetings also remains a mystery. Ofcom is an elitist organisation, most comfortable mixing with well-heeled employers. If Ofcom is to gain the confidence of BAME people in broadcasting, it needs to climb down from its ivory tower and listen to what they have to say. 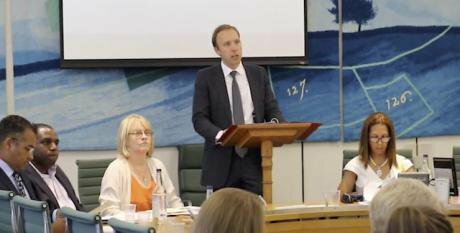 When there was a meeting in Parliament where BAME people spoke out, as we shall see, Ofcom lied about it. When Ofcom sent out the agenda for its diversity stakeholder meeting, it attempted to stack the deck against discussion of off-screen employment diversity. The only clause to which Ofcom referred was Article 6 (4) “Public Purpose” which deals with on-screen representation. That Article was set out in full. Ignored completely were Article 14 Diversity, the only Article in the BBC Charter that has the word “Diversity” attached to it, and Schedule 3 Clause 12 Equal Opportunities. Both of these require off-screen diversity of employment – and as we shall see when we come to “lawyers” (In Part 2), they are crucial. The Ofcom diversity meeting was held under “Chatham House” rules. These rules do enable a more open discussion because they limit what can be reported. I was there. Under the rules, I can tell you this. When it came to off-screen employment diversity, Ofcom told the meeting it wanted to wait and see how the BBC responds to the new statutory responsibilities on diversity and to monitor the BBC’s progress towards meeting its own goals. The BBC’s “own goals” are to be found in the BBC Annual Plan for 2017/18. Critics pointed out that the section on diversity was strong on assertions for which no source or evidence had been provided. Ofcom offered to circulate, later in the day, the relevant sources and evidence from the BBC, on which some of the assertions were based. Eight weeks later, that information has not been distributed. It was clear that the BBC Annual Plan for 2017/18 for diversity is manifestly based on unreliable assertions. The basis for Ofcom’s approach is fatally flawed. "What more do you need to know?" Analysing BBC data, Marcus Ryder, who’d arrived from Beijing earlier that morning, demonstrated that the BBC had failed to come anywhere close to its BAME employment targets in production. Ofcom pleaded that it needed to know more and that it would be looking for more information. Ofcom explained it was a very information and fact-based organisation, and it wanted to know the reality of what’s happening and the evidence, before it could know what the BBC is committing to, and before knowing what Ofcom needed to do. Ofcom pleaded it had only been the BBC’s regulator since the 3 April 2017. But, when the BBC White Paper was published on 16 May 2016, it was clear that Ofcom would become its regulator and that diversity on-screen and off would become much more important. If Ofcom had paid attention to Parliament, it would have understood that these provisions were unlikely to be changed. It seems almost a year has been allowed to slip by before Ofcom, which prides itself on being an evidence-based regulator, had done even basic desk research on the evidence of patterns of BAME employment in the BBC. Ofcom offered that were it to find that the BBC was failing to meet the BBC’s own BAME employment targets, then Ofcom might initiate a ‘deep dive’ on diversity and it might address the issue in the second or third iteration of the Operating Licence, in two or three years’ time. In two or three years time! It is hardly surprising that those who have paid closer attention to the issue of BAME representation in broadcasting left the Ofcom meeting angry at Ofcom’s lack of knowledge and lack of urgency. Well briefed about the Ofcom meeting, five days later, Sir Lenny Henry spoke in Parliament at a free event organized by Act for Change, Campaign for Broadcasting Equality and the TV Collective. It had sold out within four hours of details being posted on Twitter by the organisers. The most comprehensive report of the meeting is “Milli Vanilli fake diversity at the BBC” by former Times and Financial Times media editor in openDemocracy. The event also heard from Digital Minister, Matt Hancock, with responsibility for broadcasting, and a panel including Lady Bonham Carter (LibDem Shadow Minister), Helen Grant MP (Conservative), and David Lammy MP (Labour). All were united in the view that Ofcom should introduce rules and regulations to address off-screen diversity and the panellists agreed to raise this with the DCMS Secretary of State, Karen Bradley, the minister with ultimate authority. Lenny Henry at the podium. Matt Hancock, the Minister, heard most of the discussion before apologizing for having to leave, saying he had to go to his next meeting – with Ofcom CEO, Sharon White. Hancock promised to take the passion of the meeting to her and noted that select committees had the power to call anyone they wanted to hear from – with the implication that a select committee might want to hear from Sharon White about Ofcom’s approach to diversity. 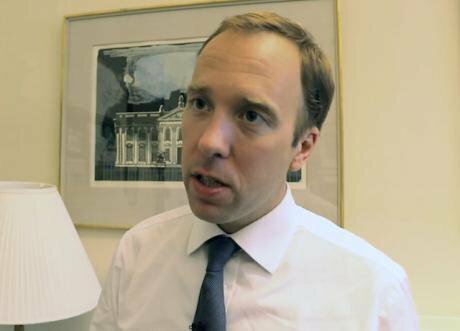 Before he left the building, the Minister recorded a video stressing the importance of off-screen diversity which DCMS distributed via Twitter and You Tube. But Matt Hancock was not alone in taking to Twitter to talk about the meeting. Ofcom’s Director of Communications, Chris Wynn, also used Twitter to complain, falsely, that Ofcom had only been invited to the meeting two days before. The truth was that Ofcom’s Director of Content Policy, Jacquie Hughes, had been invited more than two weeks earlier, even before the event had been promoted on Twitter – a unique privilege. There are many matters on which Ofcom’s past performance can be found wanting but it was always fastidious about the information it provided. Ofcom now appears to take a less disciplined approach to fact checking and a more aggressive approach to spin. In an apology, Ofcom’s Director of Communications explained it had all been done in good faith and that the Tweet has been removed. It is difficult to fathom why Ofcom’s Director of Communications should be rushing to spread such trivial disinformation, but it does point to a febrile atmosphere in Ofcom when it comes to diversity. In Part 2 we shall see why.